Amateur Radio Newsline Report Number 2136 with a release date of Friday, October 5, 2018 to follow in 5-4-3-2-1. The following is a QST. Hams rally amid Indonesia’s devastation. A super station in Montenegro makes a comeback – and the Pennsylvania QSO party gets a new team. All this and more as Amateur Radio Newsline Report 2136 comes your way right now. JIM/ANCHOR: In our top story this week, amateurs have once again used their radios to help in a catastrophe – in this case, the devastated Indonesian landscape. Graham Kemp VK4BB has those details. GRAHAM: A series of earthquakes and a tsunami have left more than 800 people dead and countless more injured in the Central Sulawesi province of Indonesia where amateur radio operators were activated immediately to assist with disaster communications. A report from Dani Halim YB2TJV, the IARU’s new Region 3 Disaster Communication Coordinator said that the 7.7 magnitude quake on September 28th cut off utilities including power and communications. Emergency operations were established about 700 km, or 434 miles, from the quake’s epicenter at the Luwuk Disaster Management Agency. Indonesia’s national radio society, ORARI, began an emergency net on 7.110 MHz to gather details about landslides and other dangerous conditions. ORARI has also activated a satellite for backup use, much the same as it did during the earthquake that struck in August in Lombok. A second net was set up on 7.065 MHz because of excessive QRM on the first frequency. Communications were established early on with two mobile stations in Palu, Sutrisno YB8NT and Ronny YB8PR. Atenk YD8MII and Budi were also operating on the emergency net to gather details about landslides. The earthquake was followed by a tsunami and some videos posted on social media showed waves as high as 6 metres, or nearly 20 feet, striking one beach where festival preparations were being made. Everything was swept away. JIM/ANCHOR: Participants in the Pennsylvania Q-S-O Party will hit the ham bands the weekend of Oct. 13 and 14. But the future of the PA Party was in doubt after its long-time sponsoring organization decided to give it up. Amateur Radio Newsline’s Mark (Abram-o-vich) Abramowicz, NT3V, has the story. MARK: For more than 50 years, the Nittany Amateur Radio Club had sponsored the Pennsylvania Q-S-O Party – which has become one of the most popular state parties just behind the California QSO Party. For the last 13 years, the intrepid Michael Koslo, N3LI, was chairman of the event. But word emerged at the beginning of the year that the Nittany group and Koslo were giving it up and looking for someone to take over. Anthony Good, K3NG, is vice president of a group of long-time PA Party participants who didn’t want to see the event disappear. “We basically formed a group called the Pennsylvania QSO Party Association,” Good says. 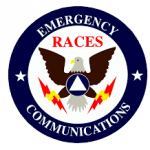 “About six of us who are enthusiasts that have been participating for years in the party and basically offered up our group to take over management of it and the Nittany Amateur Radio Club graciously awarded us management of the party. Good says the group’s decision has been well received. “The bonus station for this year is going to be N3LI operating from Centre County honoring Mike and all the work that he’s done over the years,” Good says. And, of course, Good says the PA Party isn’t changing one important element..
“We certainly want to keep that momentum going. I think we want to support the tradition of the Pennsylvania QSO Party but also try some new things,” Good says. “Undoubtedly, FT8 right now is all the rage in amateur radio. I think right now where FT8 stands – at least the mainstream mode doesn’t support the exchange that we have in the PA QSO Party serial number. To learn more about the PA Party go to paqso.org. For the Amateur Radio Newsline, I’m Mark Abramowicz, NT3V, in Philadelphia. JIM/ANCHOR: That very same weekend, European amateurs are throwing a QSO party too as we hear from Ed Durrant DD5LP. ED: The next big international QSO party is being hosted by European Radio Amateurs Organization and the group is calling it journey of discovery. The activity is entirely on 60 meters, or 5 MHz, and it’s been organized to encourage use of this relatively band for hams in many countries. Get on 5 MHz on October 13th and 14th and operate on SSB, CW and digital modes  it’s that easy. Participating hams are being asked to call “CQ EURAO Party” and you needn’t worry about a contact turning into a ragchew. That kind of exchange is being encouraged, with discussions on every topic ranging from the weather, ham shack equipment or even the city you’re operating from. Hams are also encouraged to exchange QSL cards but this is not a contest and even QSL cards are not necessary. To help organizers gather statistics, logs can be submitted to the email address party at eurao dot org (party@eurao.org) in ADIF format with the filename as the ham’s callsign. Logs will not be submitted for prizes; however, if you submit a log on which at least 10 percent of your QSOs are confirmed, you will receive a certificate of participation. For Amateur Radio Newsline I’m Ed Durrant DD5LP. JIM/ANCHOR: Hams in the U.S. couldn’t be happier to have their favorite TV ham Mike Baxter KA0XTT back on the air. Now they have another reason to celebrate, as we hear from Kevin Trotman N5PRE. KEVIN: If you are a fan of American TV, you probably already know that the situation comedy “Last Man Standing” is now “Proud Man Standing Tall” in the ratings. The show features Tim Allen KK60TD as ham radio operator Mike Baxter KA0XTT and viewers report that his signal is 10 over: Variety newspaper writes that the show made its debut on the Fox Network on Friday, September 28th with an average 1.8 rating for viewers between the ages of 18 and 49, beating its season on ABC, the network that originally carried the show before cancelling it. Variety also reports that “Last Man Standing” was the network’s top-rated show for that night  and the most-watched comedy on Fox in nearly seven years. The show is popular in the amateur radio community thanks to its protagonist being a ham himself  and it so inspired actor Tim Allen that he decided to make things real by getting his ticket in 2014. For many hams, however, the show begins well before the TV is on: the crew operates amateur radio station KA6LMS during meal breaks on production days. The set itself features QSL cards from fans  maybe even some of you listening now. JIM/ANCHOR: Eight members of a Cubesat development team in India are preparing for their project’s big launch as Jim Meachen ZL2BHF tells us. JIM MEACHEN: November promises to be a big month for the eight members of the development team in Hyderabad, India who built an ExseedSat CubeSat. The 10-centimeter satellite, which carries an APRS digipeater and an amateur radio FM transponder for voice communication, is to be sent into space by the U.S.-based SpaceX company. The satellite is expected to be on a polar orbit, giving it two daily passes over India. Its beacon will be transmitting on 145.900 MHz FM using a TV tuner and a USB dongle. Gurudatta Panda VU3GDP, one of the development team members, gave the details recently to The Hindu newspaper, noting that the satellite will be especially useful for radio amateurs during natural calamities when communications get disrupted. An eight-member team worked on the design and construction at Exseed Space Private Limited, which was cofounded by communications engineer Ashhar Farhan VU2ESE. Exseed Space notes on its website that it is in the process of setting up the first contract satellite building facility in India with a focus on nanosats, cubesats and microsats. Gurudatta is especially aware of the need for communications during weather events and other emergencies. He assisted with radio operations in 2013 when a cyclone hit the Ganjam district in India. BREAK HERE: Time for you to identify your station. We are the Amateur Radio Newsline, heard on bulletin stations around the world including the K8SCH repeater in Cincinnati, Ohio, at 9 p.m. local time on Wednesdays. JIM/ANCHOR: Even before the results were in for the CQ World Wide RTTY contest held the weekend of September 29th to 30th, the 403A Super Station of Ranko Boca in Montenegro felt like a winner. Jason Daniels VK2LAW tells us why. JASON: A massive fire on the Lustica peninsula in southwestern Montenegro in July of last year kept the 403A super station out of the running in the 2017 CQ World Wide RTTY contest. Disaster struck the station after two successful previous years in which operators placed second and third. This year however the station made a glorious comeback as operators entered their first major contest from the station since that fire. In the shack for the 48-hour marathon weekend were youngsters who are part of the IARU’s YOTA Youth Contest Program, an initiative begun by Ranko Boca, owner of the 403A super station. Dan Quigley N7HQ, technical rep for 4O3A in America, told Newsline in an email that the weekend QSOs were accomplished under marginal band conditions. The youngsters who gave it their all were Florian PB8DX from the Netherlands, Matteo IU2GGL from Italy and two young hams from Serbia: Janko YU3EEA and Ljubomir YU5EEA. They were assisted by a crew of seasoned operators: Ranko Boca along with Milan YU1ZZ, Lazo YU1JW, Isidora 402ISD and Marko 409TTT. The station is considered one of Europe’s top contesters – and win or lose, the station has clearly got its momentum back. For Amateur Radio Newsline I’m Jason Daniels VK2LAW. JIM/ANCHOR: Years of hard work planning an important Canadian special event station has won two hams special recognition, as we hear from Jeremy Boot G4NJH. JEREMY: Radio Amateurs of Canada (RAC) has honoured two hams for their work on the VE100VIMY special event project in 2017, which featured the participation of amateurs throughout Canada and a special event station TM100VIMY at Vimy Ridge in France. According to the RAC website, the special event required six years of planning and the award recipients Don Studney, VE7DS and Keith Witney, VE7KW were key to its success. Don was the team leader and Keith was deputy team leader and chief engineer of the Vimy Commemorative Station Society. The duo took special care in preparing the VE100VIMY station at Vimy itself in April of 2017. They helped create a shack where a number of operators would work, including two from France: Didier Cadot, F6BCW and Serge Mazza, F6IPT. The QSOs had actually begun earlier: On January 1st, operation of VE100VIMY/VE1 and VE100VIMY/VY2 had already been completed. By the end of March, all 13 Canadian call areas had experienced a one-week activation in the event, completing more than 38,000 QSOs with six continents and more than 125 countries. JIM/ANCHOR: Radio Scouts never rest and with Jamboree on the Air coming, there’s still work to be done, as Bill Stearns NE4RD tells us. BILL: This week in Radio Scouting, we’re three weeks away from Jamboree on the Air and registrations are coming in strong! We have one more reservation for the K2BSA callsign for JOTA weekend and quite a few announcements of JOTA activity on our Scout Camps on the Air site for the weekend of October 19th through the 21st. Philip Housel, KC7SVI, will be activating K2BSA/7 from VFW Post 4992 in Bremerton, WA. Troop 1539 will be operating both JOTA and JOTI. Special Thanks to the Kitsap County Amateur Radio Club for the use of radio equipment and club members who will be helping make this event a success. KD8AVN will be active from The House Reservation in Medina, OH. Troop 501 anticipates operating 2-3 transmitters focusing on HF and holding Radio Merit Badge sessions. Troop 501 is a troop of around 60 boys from NE Ohio, they have 4 licensed youth and 2 licensed assistant scoutmasters, that will be joined by the Medina 2 Meter club and local Webelos for this event. W1M will be active from Moses Scout Reservation in Russell, MA. They will be using a Yaesu FT 897 and a wire dipole for 40 meters for their activation. A special QSL card will be available for this event with a SASE. KN4MDJ will be active from Camp La-No-Che in Paisly, FL. Cubscout Halloween 2018 (Cuboree) will be in full effect for the JOTA weekend. They expect 600-1000 Cub Scouts to attend and will try to get most on-the-air. At least 3 Ham groups will be setting up covering ALL of the HAM bands, from 160 to 13cm and Echolink. Their goal is to have the most scouts for JOTA in one location for the state. K2SRF will be active from Babcock Hovey in Ovid, NY. The Challenge trophy camporee has over 1800 scouts registered for over 200 stations. Hams will be demonstrating what they love the best about ham radio. all bands all modes. JIM/ANCHOR: Finally, we close this week by introducing you to the Bergmann family of Germany. As we hear from Ed Durrant DD5LP, their daughter – a new ham – had some plans this year for their family vacation. ED: When most youngsters ask their parents for a dream-come-true vacation, more often than not it’s to Disney World or some other attraction with amusements, fun rides and lots of junk food. Eleven year old Laura Bergmann DL2JJ of Dreieich Germany had a different idea. Upon passing her licencing exam, she informed her father and mother she wanted to go to the St. Marcouf Islands. Her dream was a DXpedition with Emil DL8JJ, her father and Verjy DL9JJ her mother. Packing up 500 kilograms, or eleven hundred pounds of equipment that included a Honda generator and fuel, two antennas and their rigs, the family loaded up their small car and headed to the islands, off the coast of Normandy, France. They even slept two nights in the vehicle until they arrived. The Bergmanns spent about 44 hours on the island, completing 1,340 QSOs, 54 of them with DXCCs. They operated on 80 meters through 17 meters pretty much around the clock. Whatever time they spent in their sleeping bags was minimal, and they spent it dreaming of the next contacts they’d make on SSB, CW or FT-8. Always the proud father, Emil told Newsline that he and his wife had activated the island together in 2015 while Laura was in school but he said “Now was the real moment.” He said “this was a real Dxpedition, not just a vacation. It was indeed a dream-come-true and Laura Bergmann can now say that the family that goes rock-climbing together and travels together also DXpeditions together. NEWSCAST CLOSE: With thanks to Alan Labs; Amateur News Weekly; the ARRL; CQ Magazine; Dan Quigley N7HQ; ExSeed website; EURAO Newsletter; Hap Holly and the Rain Report; the Hindu newspaper; IARU Region 1; Irish Radio Transmitters Society; K2BSA; Ohio-Penn DX Bulletin; Radio Amateurs of Canada; Southgate Amateur Radio News; Ted Randall’s QSO Radio Show; Variety; Wireless Institute of Australia; WTWW Shortwave; and you our listeners, that’s all from the Amateur Radio Newsline. Please send emails to our address at newsline@arnewsline.org. More information is available at Amateur Radio Newsline’s only official website at www.arnewsline.org. For now, with Caryn Eve Murray, KD2GUT, at the news desk in New York, and our news team worldwide, I’m Jim Damron N8TMW in Charleston West Virginia saying 73 and as always we thank you for listening. Be the first to comment on "Amateur Radio Newsline Report Number 2136 with a release date of Friday, October 5, 2018"